Maritime objects fascinate through their contrasting surfaces: Rough wood that not only gets older over time but also becomes more beautiful and unique, and the simple efficiency of metallic structures - this special combination inspired the designers Kasper Rønn and Jonas Bjerre-Poulsen from Norm Architects when they developed their Raft series. The Raft Stool NA4 Barstool is also part of this special collection. 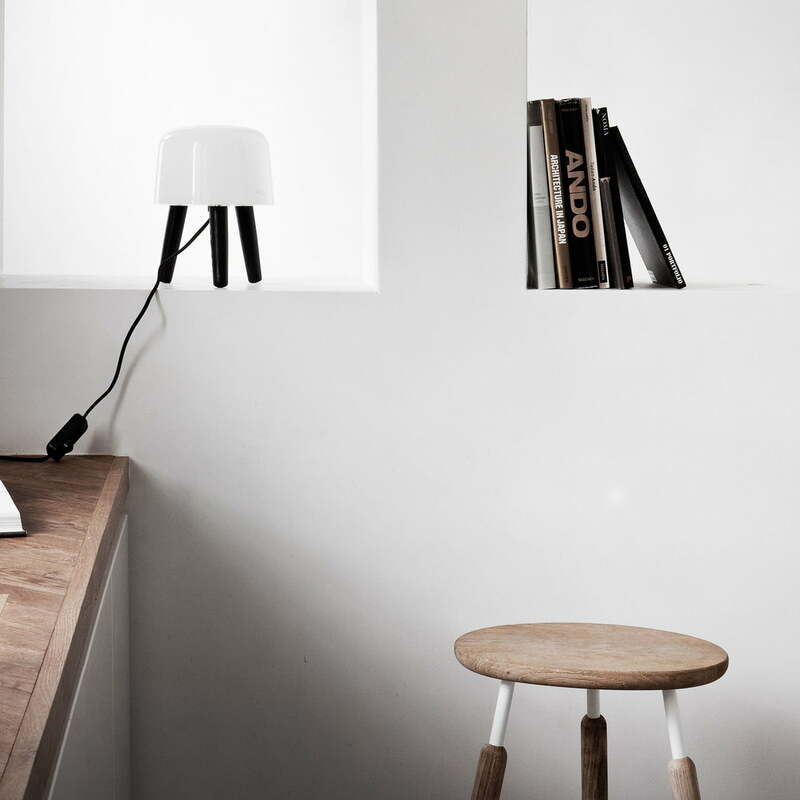 In its Scandinavian style, the barstool provides unique seating which distinguishes itself not only through the puristic design, but also through a subtle used look. The surface of the chair legs has been sandblasted in order to emphasise the extraordinary structure of the wood, and therefore contrasts with the slender metal elements in a very special way. Thanks to the arrangement of the legs and the lower metal bracings, there are two different seating positions made possible by facing forwards either one or two chair legs. 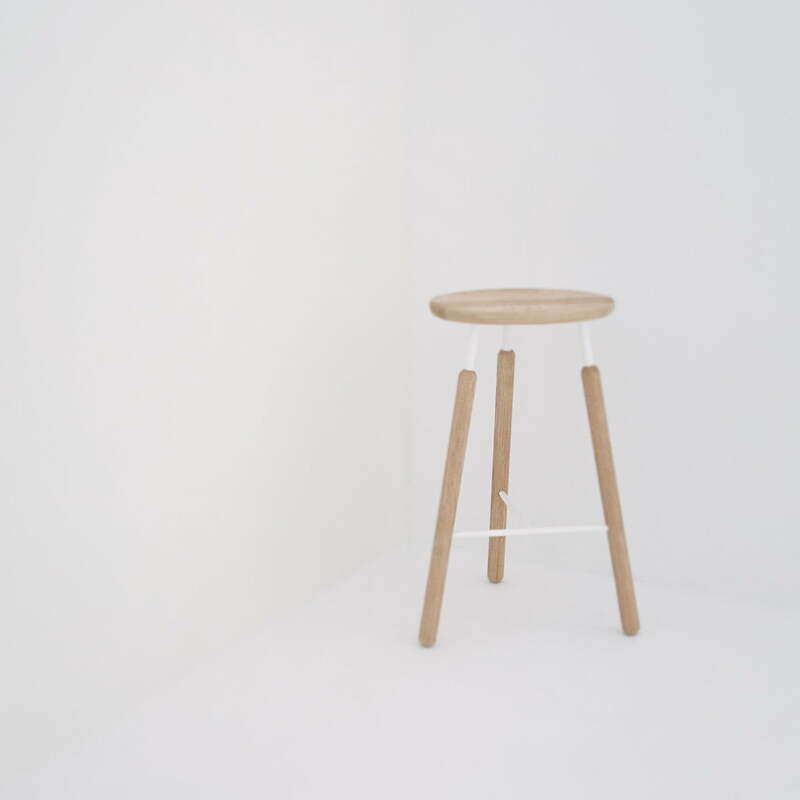 Since the wooden sitting surface of the Raft Stool NA4 barstool is completely flat, the stool can be used as a small side table just as well. 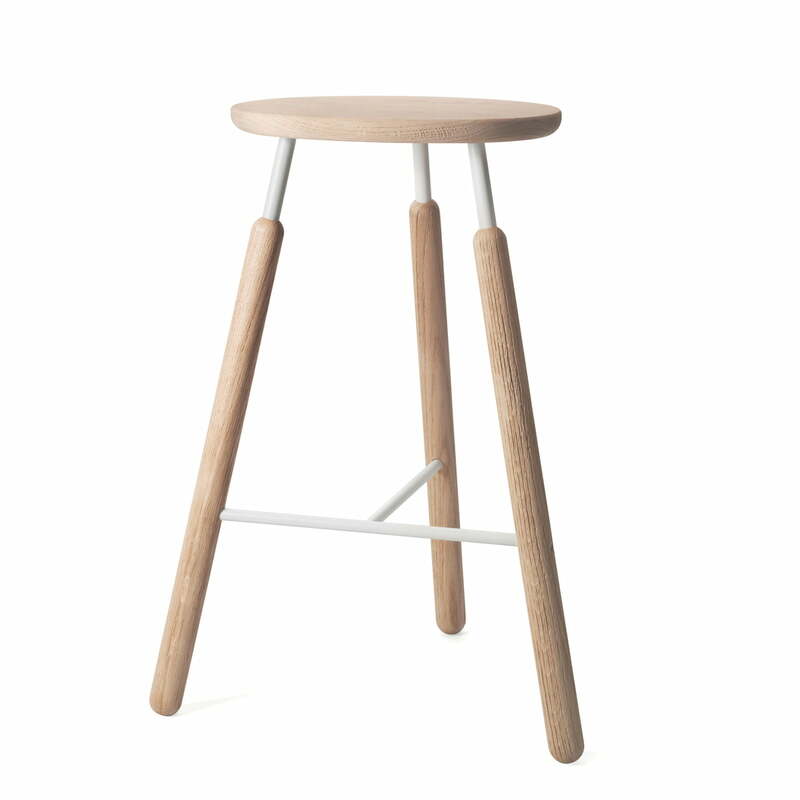 Raft Stool NA4 Barstool in natural oak, by &Tradition. 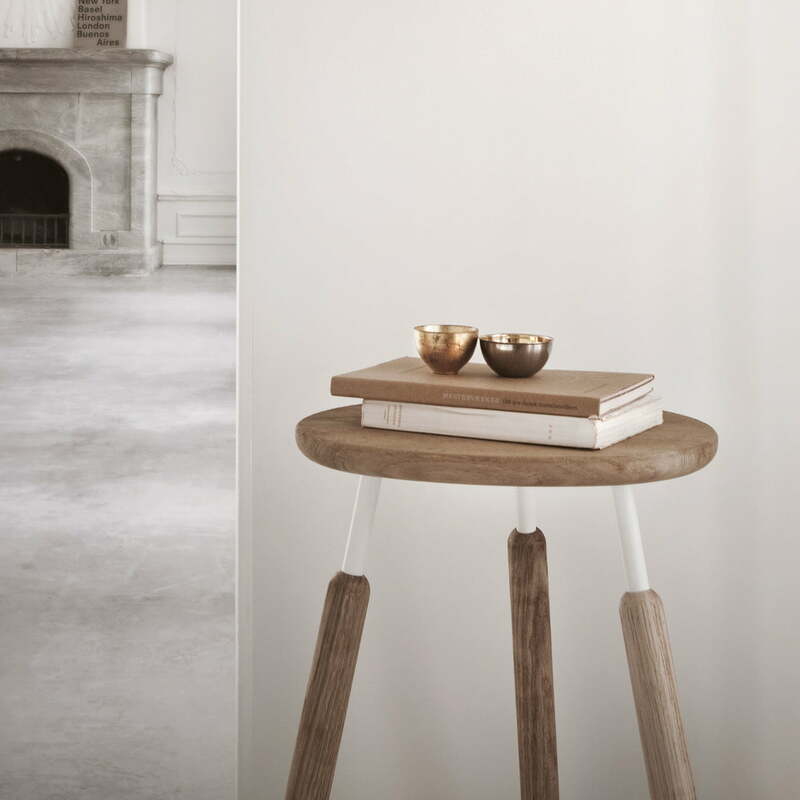 The barstool combines the two materials wood and metal in a puristic way, inspired by maritime objects. The Raft Stool NA4 Barstool by &Tradition fascinates through the special combination of wood and metal and through the puristic design. It can be used for seating, or as a side table.